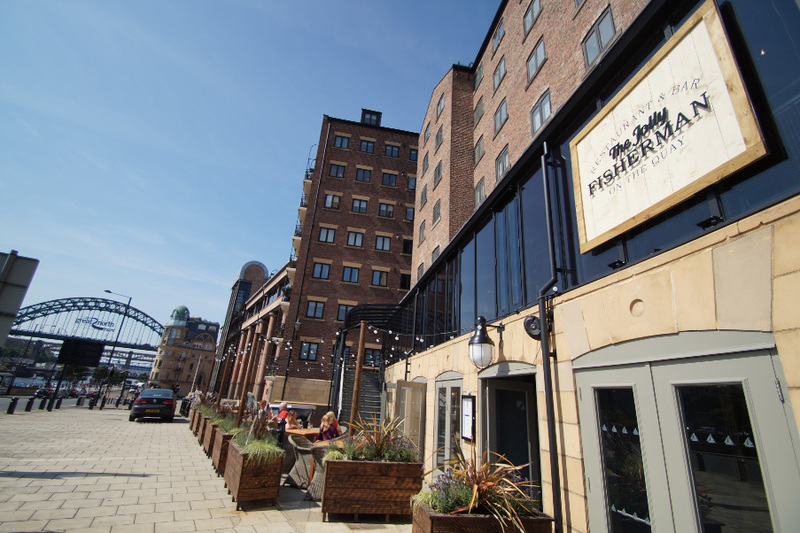 The Restaurant boasts delicious ‘home cooked dishes paired with beautifully kept ales’ and already has acquired a top reputation from visitors since opening back in August 2016. The interior and dining areas are stunning and GastroNorth were tasked with providing catering facilities to match. The main restaurant kitchen is located on the upper level of the building and serves up to 80 diners at any one time, the bar kitchen is located on the ground floor and had to be carefully designed with aesthetics and ergonomics in mind as the client specified an open kitchen. This dramatically transformed the kitchen plans that the GastroNorth project team had in mind originally, however calling on past experience and knowledge we we’re quickly able to come up with a solution that ticked all the right boxes. 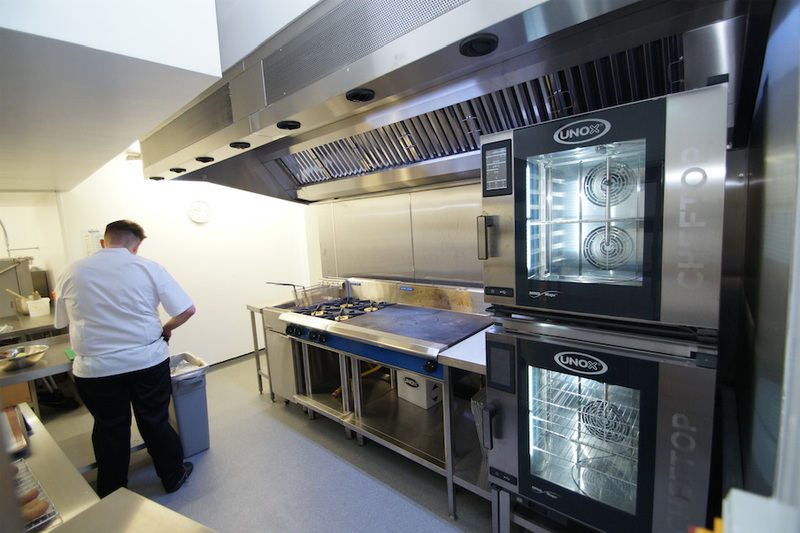 Bob Vardy, Sales Manager at GastroNorth commented: “Working on the kitchen on the ground floor was really enjoyable, considering more than just the layout for a comfortable working environment for the chefs was a welcome challenge. Open kitchens are becoming more and more popular and they require careful consideration. Odour control, extraction, pass design and hot holding are all key elements that must be carefully planned”. 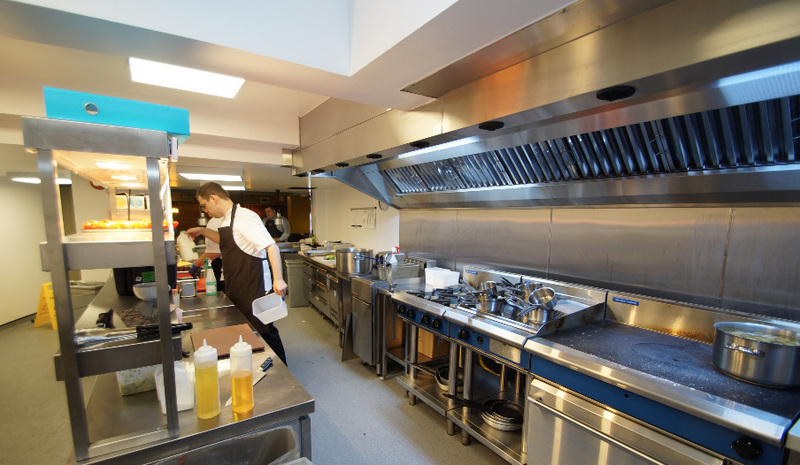 Kitchen equipment and layout aside, extraction and odour control were extremely high on the priority list due to the restaurant being located in a very old building with residencies above and around. 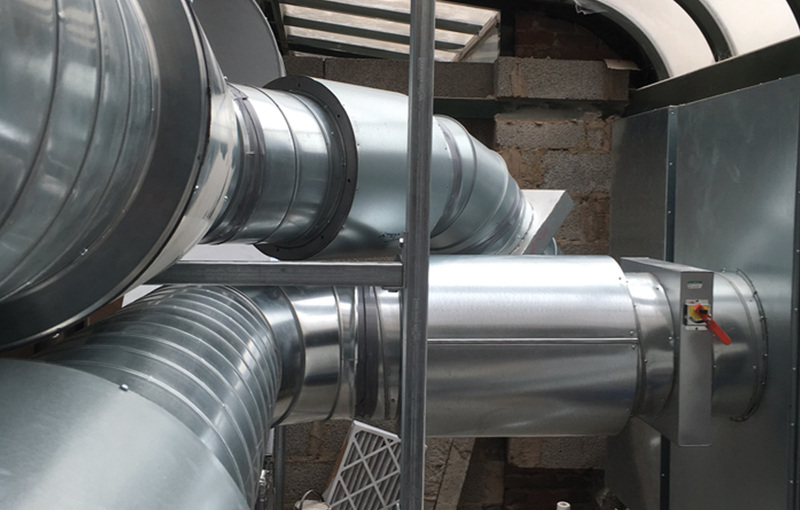 The GastroNorth team had to liaise with structural engineers and architects to adhere to all legalities when installing large scale ducting and extraction systems.